Hey Beautiful people, my sister actually finds this phrase quite annoying but all of you guys are beautiful for taking the time to read this little space of mine. So how are my beautiful people doing this new week? I still can't believe there’s only one day left in the month of February, wow. This month was both fast and slow but it was definitely filled with lots of good stuff, a big shout out to God, he is too faithful. Moving on to today’s outfit. I’m a big fan of anything Ankara but unfortunately in the past Nigerian tailors have shown me a tough time but hopefully this year, my 2017 style goal of stocking more Ankara pieces will be accomplished. 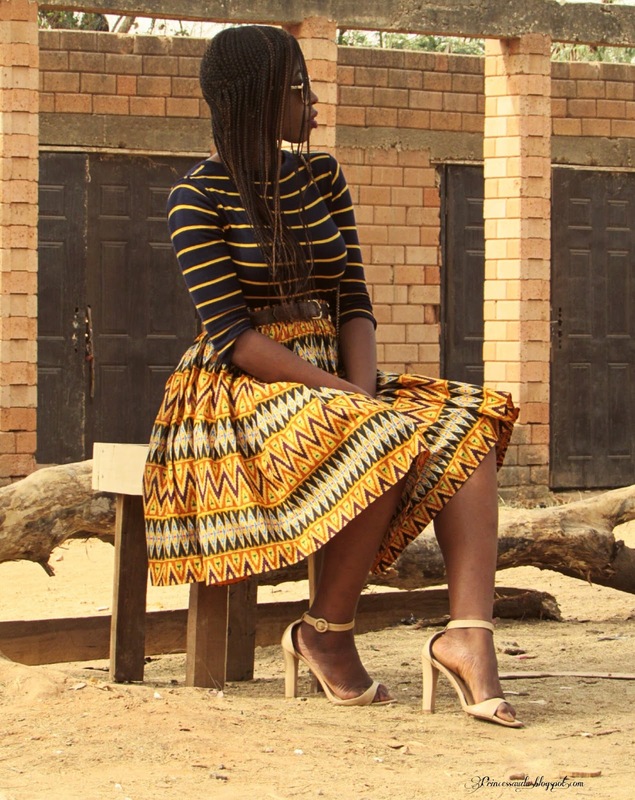 Now this lovely Ankara skirt previously styled here was made by blogger Ugo, who also made my ankara coordinates set. 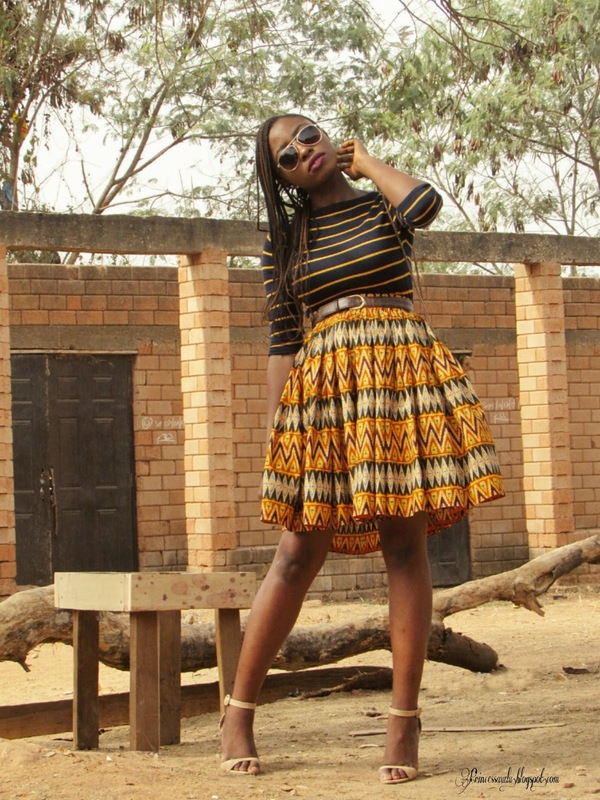 The print is quite eye catching and so affordable. 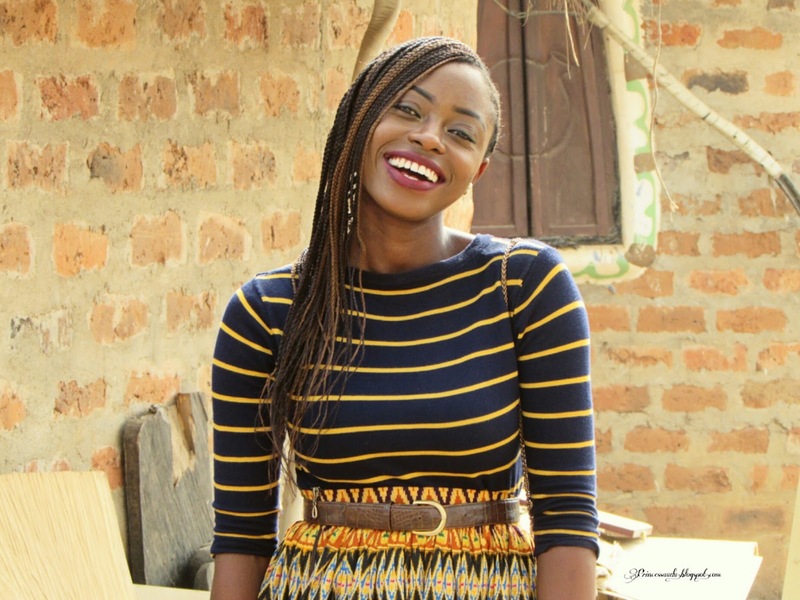 I love pleated skirts and think it makes for a simple basic style for Ankara African print fabrics as I noted in this post on five ankara styles to try. 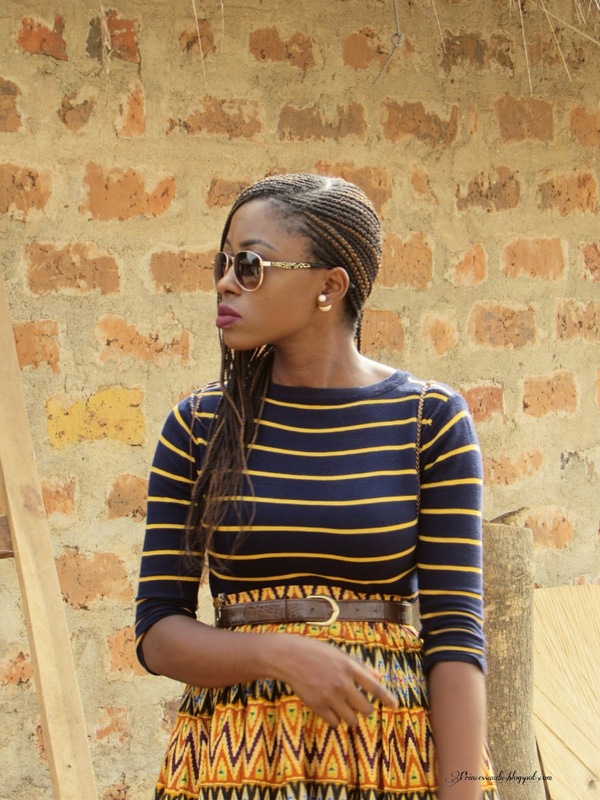 I decided to go all out with prints this time around hence I opted for this mustard blue stripe top. Now styling prints can be tricky but definitely doable. A few tips when it comes to styling prints and making them work is to opt for neutral colour palettes. Also stick to stripes as it’s easier to mix. Finally, stick to colours in the same family. In this look I used mustard yellow as a common colours palette. Still looking for more tips on styling prints? Then this post is for you. I do hope you all had an awesome weekend. 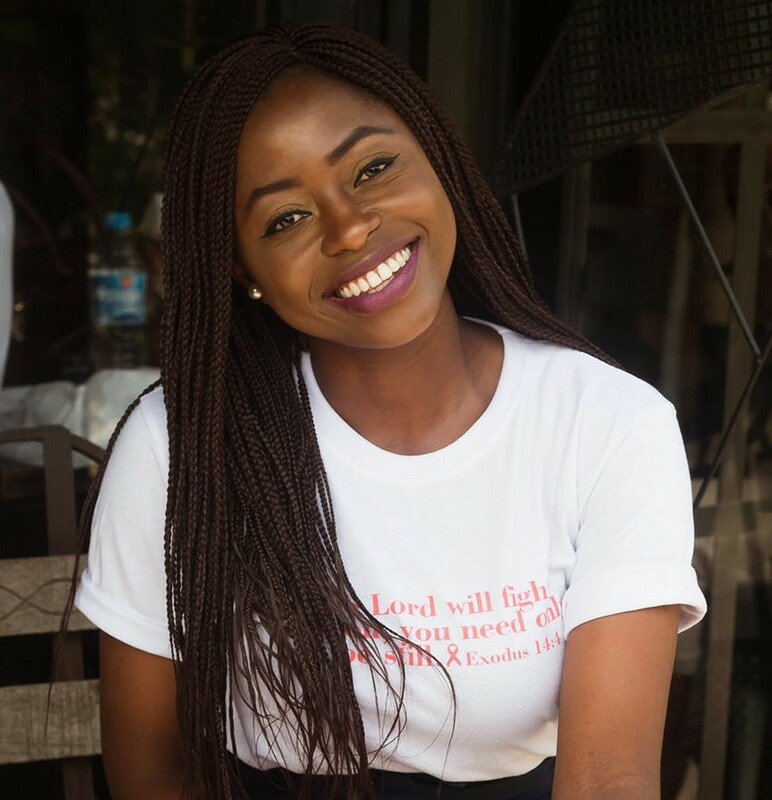 If you follow me on my Instagram page here and Twitter page here you would know that I attended the Kanga Fashion Festival which I've been raving about on social media for a while now. Now besides the Pandora Store launch, this is the only other fashion/blogging related event that I’ve ever attended. I actually had a good time as I got to finally meet a lot of familiar faces from the blogosphere, stay tuned for a full post later in the week guys. How do you like to style prints? How do you make them work? On another note thank you to all those who entered my giveway here. I honestly did'nt realize there were so many small feet ladies out there. Congrats to tallestblack36@gmail.com, I see you girl. Please contact me to claim your new shoes. I don't think it's just Nigerian Tailors. I am yet to also meet a tailor who will stick to their word. You look lovely. The prints blend so well. Wow so its an African thing lol but it really shouldn't be. Thanks girl. 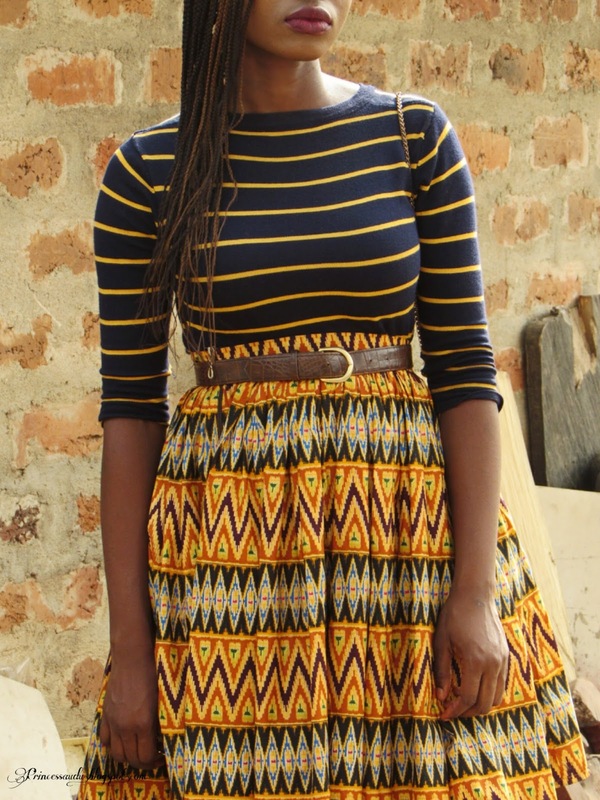 I love this look Sarah, the stripes go so well with the ankara print. I need to invest in my first ankara piece, I'm so late to the game. Thanks Carol and you definitely do. Ankara is such a fun print to rock. Now that its getting warmer I plan on leaning more towards African print. As usual, I find inspiration in your looks.Mixing prints is so much fun. Hope you enjoyed the fashion show. Yay I look forward to seeing you rock more African inspired pieces. And thank you, yes I did. I have a similar top but black and white and I paired it up once with a red print dress. I wasn't in the mood for a pinafore look so I wore the top over the dress and used a belt for a tucked away look which was my first time pairing prints with stripes and it worked! I'm a huge wax print lover and would wear them everyday if I could except I can't cos getting ready made prints are so expensive and getting a tailor to make designs are even more so!